The 99 project uses theatre as a platform to sparkle and spread cultural changes within large communities. It is a structured device designed by Geneviève Flaven for communities to unleash people’ creative energies and turn their collaborative power into action. The 99 project re-engages the collaborative and creative principles of the original play 99 women to write and stage a new “99” play from Geneviève Flaven’s original idea. 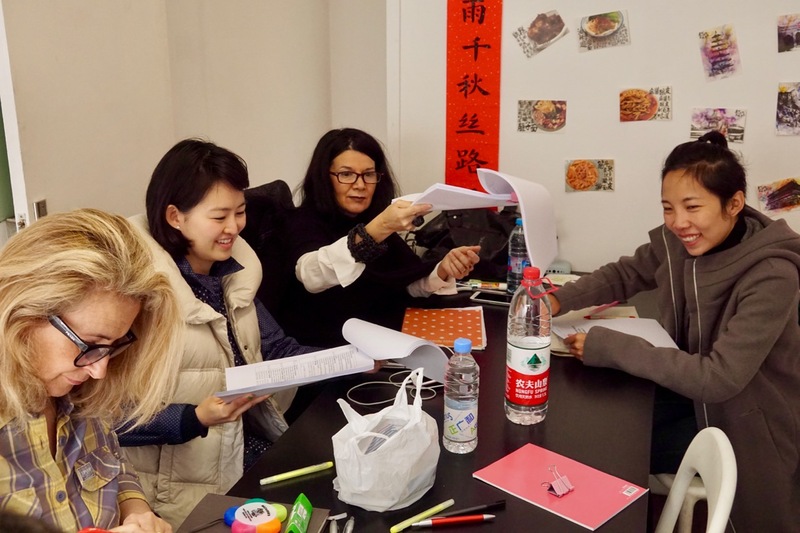 Each new play is made of 99 voices, inspired by real men’s and women’s stories, transformed by collaborative writing, staged by collaborative teams. The 99 project offers participants a unique platform for creative expression and new experiences to experiment without danger. 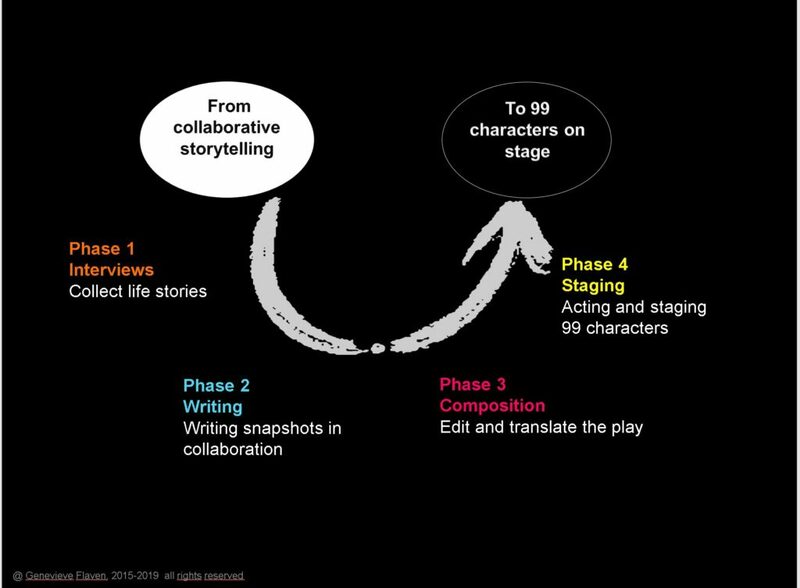 Following interviews (1) with men and women about their life, a collaborative platform is open to write (2) snapshots inspired by their stories, and compose (3) and stage (4) the new 99 play. All participants work in collaboration in small and autonomous groups coached by professionnals. Open and agile, the process is easy to adapt to local constraints and priorities. Open and innovatove, the creative process is easy to adapt to local constraints and priorities. For instance, interviewing hundreds of people can be very long and complex. The 99 project collaborative writing platform can leverage on existing material (such as records, pictures, testimonials etc..) as sources of inspiration for the short monologies. Staging a play with 99 actresses and actors requires large theaters. The format of the shows can be much lighter, suc as staged reading performances for instance.